Several of the ladies on my staff go every year to some cottage somewhere do go “scrap-booking”. I see stores come and go selling scrap-booking stuff, whatever that is. Personally, I think they really go to sit around and drink wine more than scrapbook (not that there is anything wrong with that….)! If you want to have cute stickers of ducks on your scrapbook pages and have the photos of little Melvin and Aunt Agnes under a heart cutout, then off to the cottage with you. If, however, you just want a truly nice looking photo book to show off your pictures, then read on. 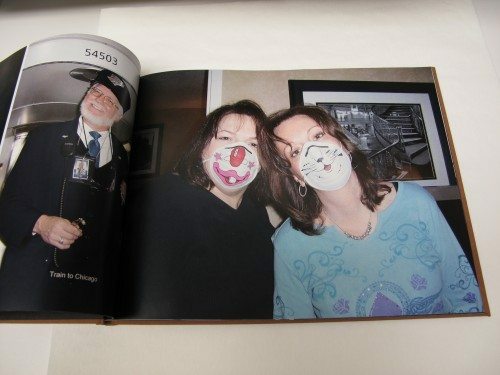 I have made several photo books in the past with other services. The ones I have used were pretty simple and easy to figure out. VioVio is as well, but they have a TON of things you can do with their program, so I spent more time on these books; but, I found it really fun. When you go to their website, you come to a clean home page. On the right side of the page is a window entitled Explore VioVio, which has links to information on all their products, including photo books, travel photo books, photo cards, yearbooks and teams, architectural portfolios, scrap-booking (don’t know about the duck stickers) and more. I really enjoyed just wandering around the site checking out the options. Lower on the home page there is a box called Step by Step Guide with a link that reads Watch a Quick Video Tour which I found helpful and not too long (22 minutes). In the long run it will probably save you time as you will be able to navigate around the site with more familiarity. What took me the longest to do in the process had nothing to do with the site. It was gathering all the different photos and arranging them for easier upload to the VioVio site. I chose to do a book about different outings I have been on with my staff, so I had photos from many years. Depending on how organized you are with your photos, this may take you much less time. I uploaded a bunch of photos and only used half of the 500GMB storage allowance. The photos can be uploaded in a zip file, or if you are a Flickr user, you can get photos from there for your project. They can accept most photo formats, including of course JPEG, but also GIF, and PNG. If you are familiar with FTP accounts (File Transfer Protocol) you can set up a free account on the site and upload your photos to VioVio this way as well. After your photos are uploaded comes the book design part, the fun part. The home page has a quick quote area to give you an idea what you might be spending. It would be too lengthy to detail all the choices you have on the site. Some of them include the layout of the pages, for which there are numerous templates. Each page can have a different template if you wish. You also have many choices of book size and shape, and a number of binding and cover options. The book building program does have options to do some editing of your photos, but I found it easier to do this before uploading. I had assigned numbers to the photos, then went to rotate one, and all the assigned numbers disappeared. After designing the pages (and adding over 10 more pages) I was ready to choose the cover style and photo. For one book, and 8 1/2 x 11 book I chose hardcover die cut- which is shown at the top here. 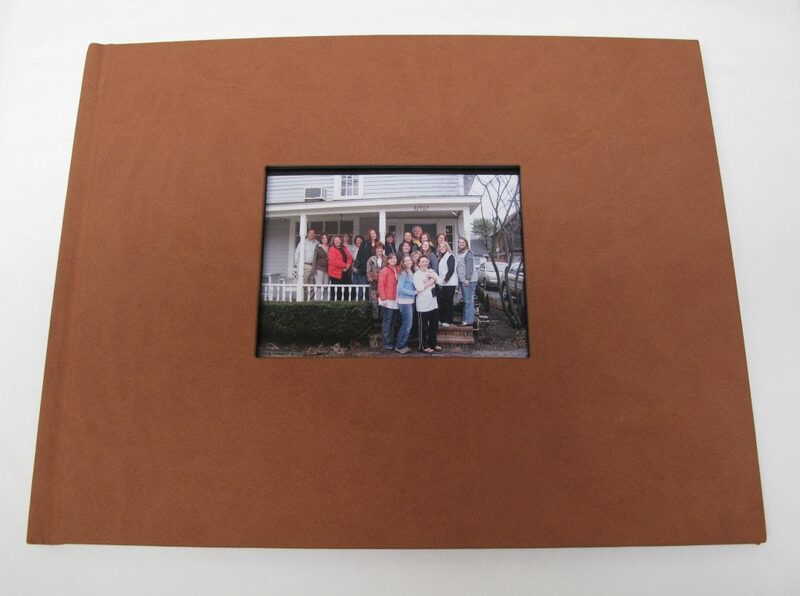 A cut is made in the cover similar to a cut on a photo matte, and the photo underlies. For the other book I chose a 9 x 7 inch hard-cover imagewrap cover, shown below, which prints the phot to cover the front of the book and wrap onto the back. 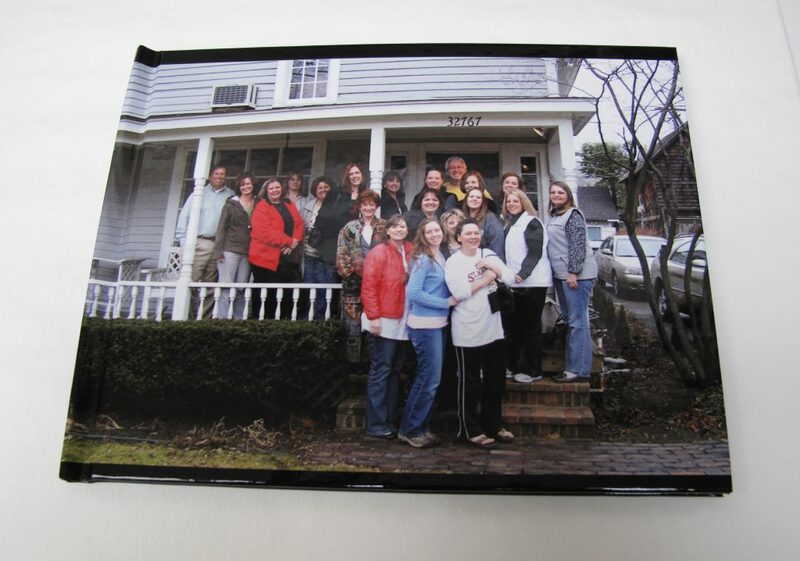 The photos came out crisp and clean in the book, and drew great praise from the group of ladies I work with as well as a number of our customers. Pages in my book are of a nice stock, not too thin and flimsy. They offer three types of paper for your book pages, including a silk paper. The total for both of these books came out to around $60, which I felt was a very fair price for such a good quality product. I would encourage you to visit the site, but don’t rush to put a book together. Take your time and have fun with the process. If you feel you must have a glass of wine, do so, but I think you will be pleased with your results!! I will be doing future projects with VioVio for sure! Wow, way to alienate a whole group of readers! What you described (cute stickers of ducks and heart cut-outs) does not even begin to describe modern-day scrapbooking, an industry worth $2.1B (yes, that’s billion, with a “B”). As someone who works in that industry, I felt it my duty to “clarify” the reality. And hey, let the ladies on your staff know I would love to join them “at the cottage.” I’ll bring the wine…or whiskey.